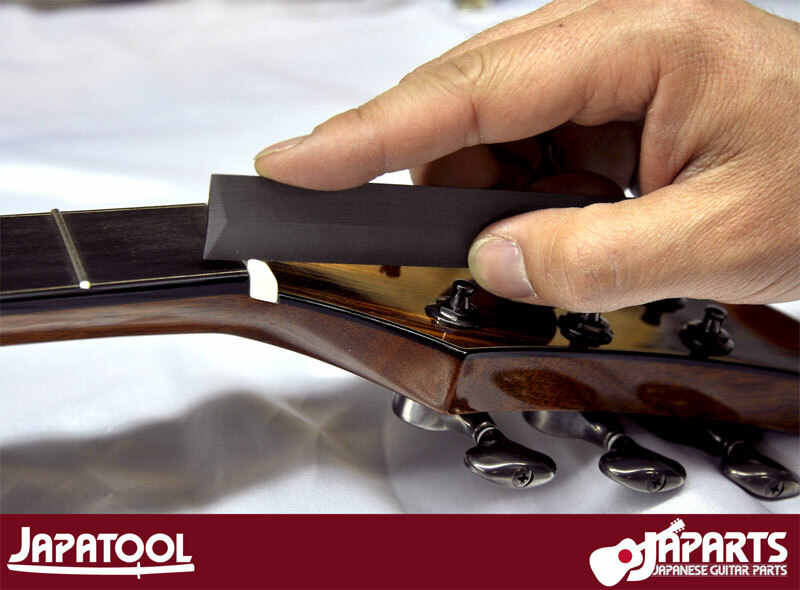 We supply the greatest Japanese guitar parts and tools to luthiers, shops, repair specialists and musicians anywhere in the world! We offer the widest selection of DoMo parts and materials, Gotoh® tuners and Hiroshima Files Uo-Chikyu fret and nut files at the best prices! us to make an order, request a price list, or just ask questions! 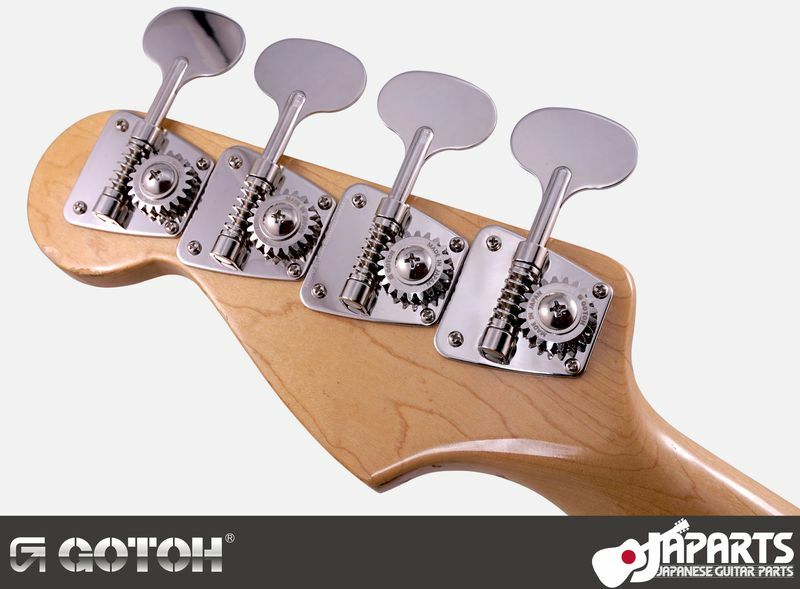 Gotoh makes a number of high quality bass bridges from their Multi-Tonal series to their standard models, with 510 versions and special editions like titanium saddles, carbon fiber plates, and a relic finish. 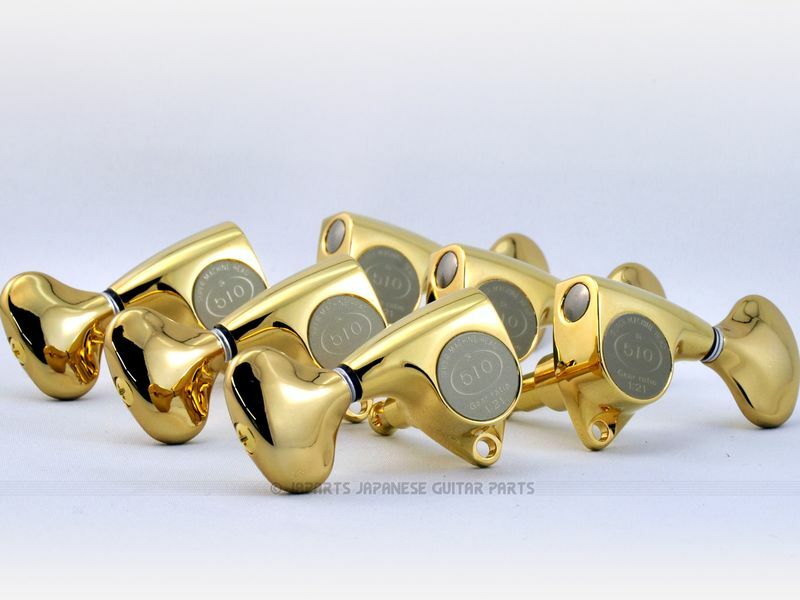 Prices start at just $17.26 USD ($23.18 CAD) for a genuine Gotoh bass bridge. Prices do not include other costs like shipping and applicable taxes. Cannot be combined with other special offers. Sale prices expire February 28, 2019 at midnight Pacific Time. 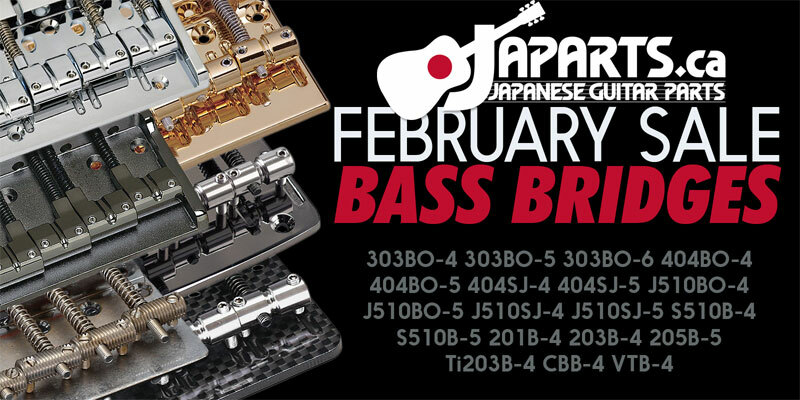 The first sale of 2019 features Gotoh 510T tremolo bridges. 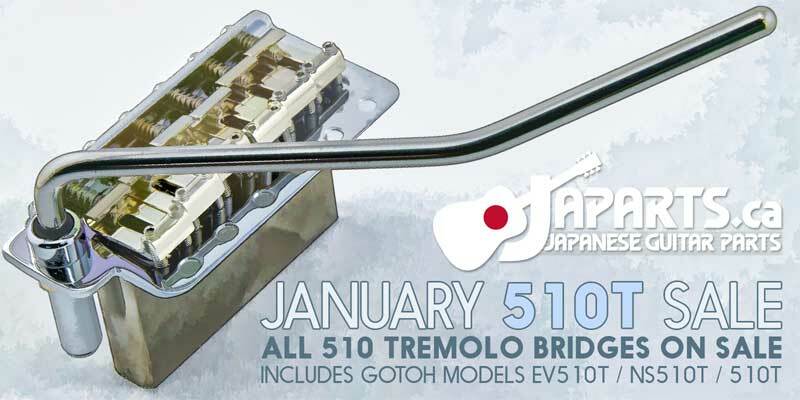 All January long you can get a great deal on all 510T models, including the EV510T ("EVolution") and NS510T ("Narrow-Spacing") and the incredibly popular standard 510T tremolo bridges. There are 140 models on sale with options like steel blocks; 2-post or 6-screw pivots; solid brass, solid steel, or bent-steel saddles; and a variety of beautiful finishes. Left-handed versions of the standard 510T models are available. 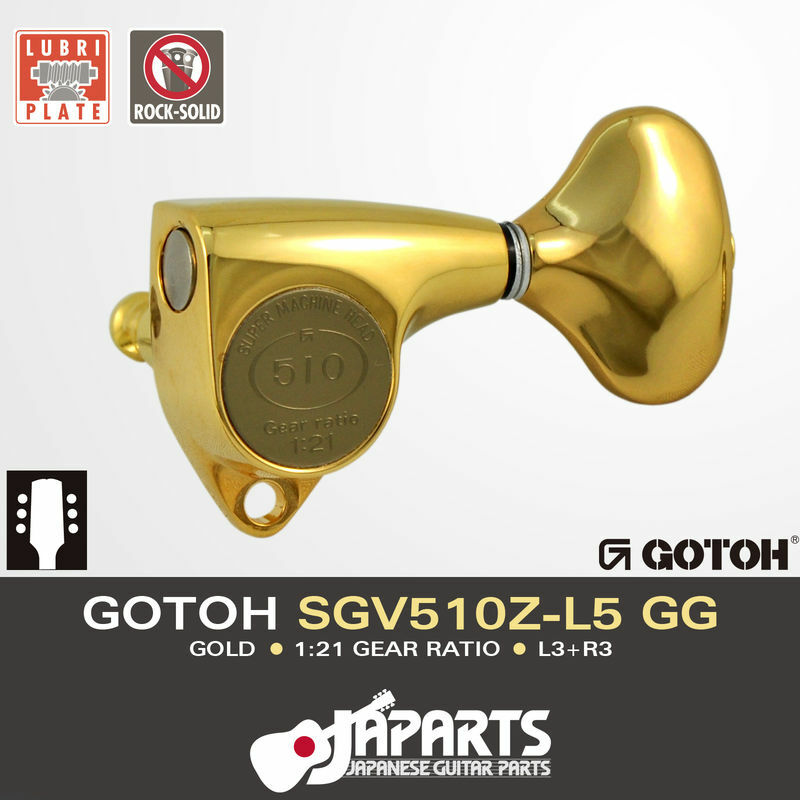 Prices start at just $67.25 USD ($87.49 CAD) for a genuine Gotoh 510T tremolo bridge. This sale is no longer in effect. Thank you! Nothing says summer like sitting in the sunshine and playing a ukulele! 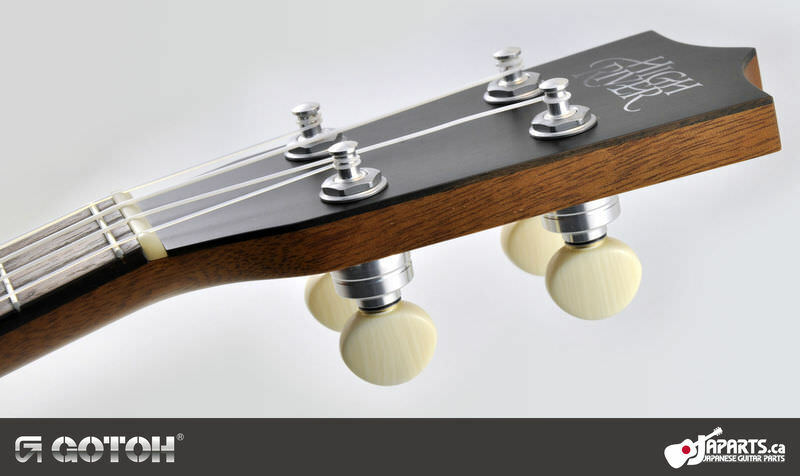 One of the classic challenges for ukuleles is tuning stability, but Gotoh solved that problem with UPT planetary-geared tuners. All summer long - until August 31 - our UPT tuners are on sale! Better tuning and better prices! The only thing we can't guarantee is better playing. That one's up to you, but staying in tune should help. Prices displayed are in USD and can not be combined with any other offers. Multiple-product discounts are not affected by these sale prices. Please note that our UPT web page does not show sale prices, they are only displayed on this home page.
. Please remember to include the list of products you wish to purchase and a shipping address. Sweet Treat: April Lollipop Clearout! 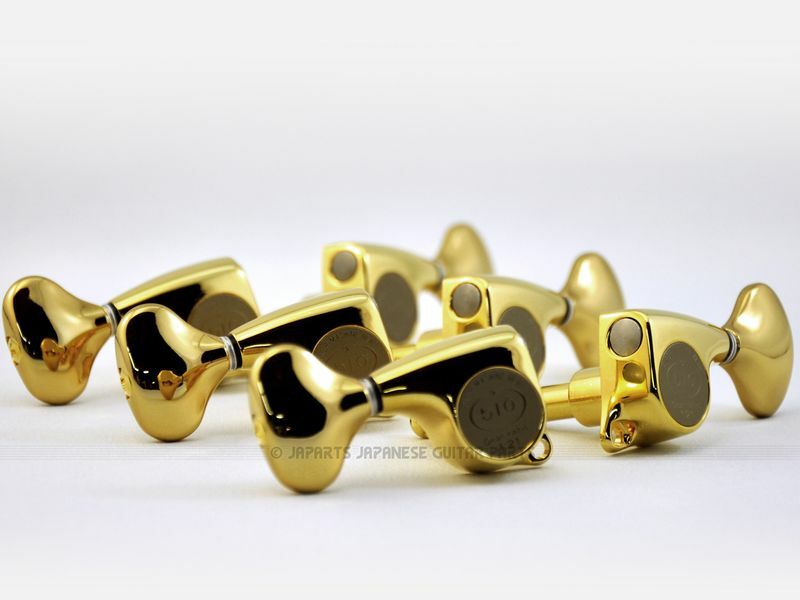 Originally we were only able to get FB30 sets in nickel with lollipop keys as a special order item, but now FB30 + lollipop keys are a standard Gotoh catalog item. That means two things: there are more options when buying them and we are clearing out our current inventory! This product ships out from two locations: Canada and Japan. If you are in Canada or the USA it's best to have the product shipped from Canada by Xpresspost or DHL Express) Other nations are best served by Japan Post EMS. This sale is no longer in effect. 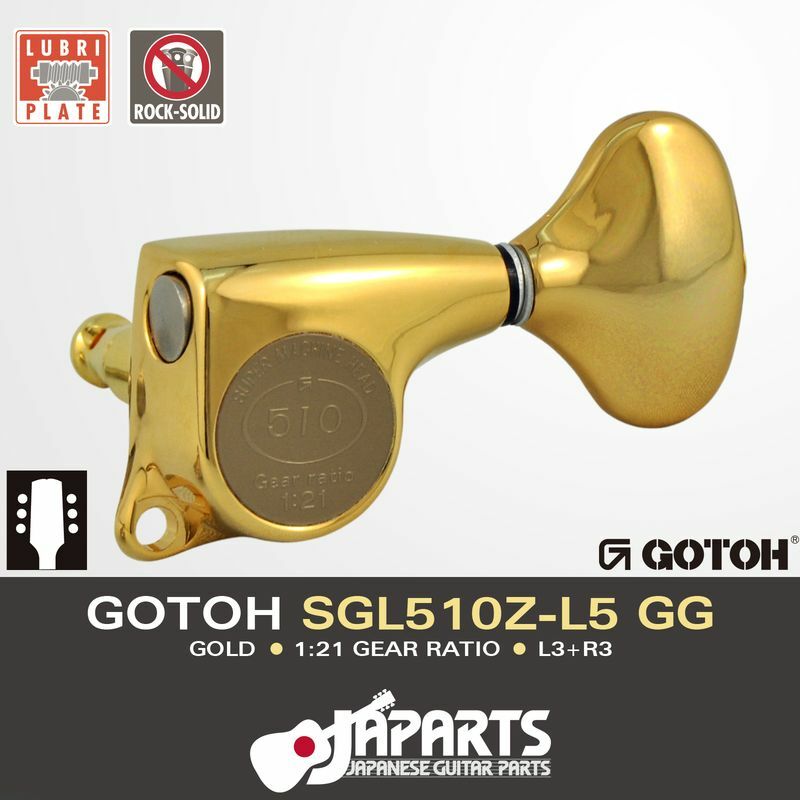 You can find Gotoh FB30LP tuners with many more exciting new options here. 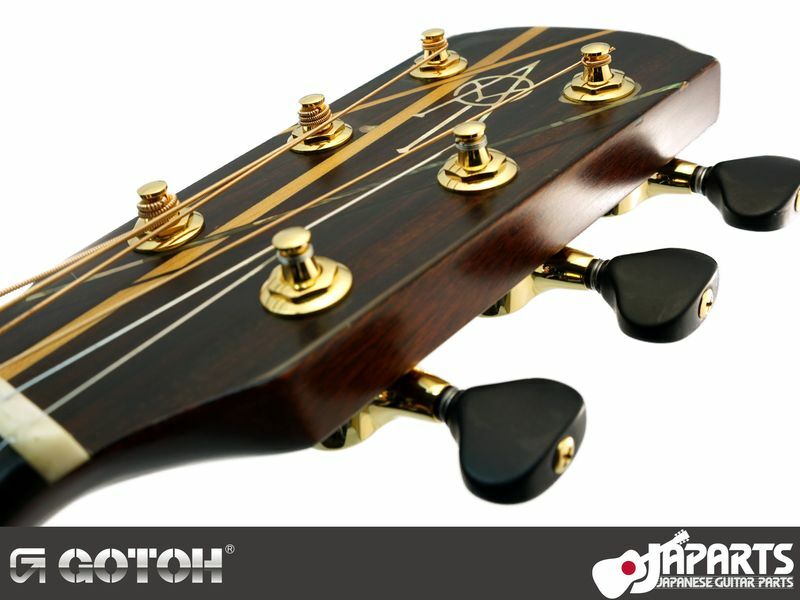 Gotoh have come out with a fantastic new take on a classic design. The FB3 bass tuning keys have been replaced with the updated FB30 model. It still has a vintage appearance but the gear mechanism has been re-engineered for improved performance. Most designs have bearings attached to the plate in a way that can cause the worm screw to misalign with the worm wheel. 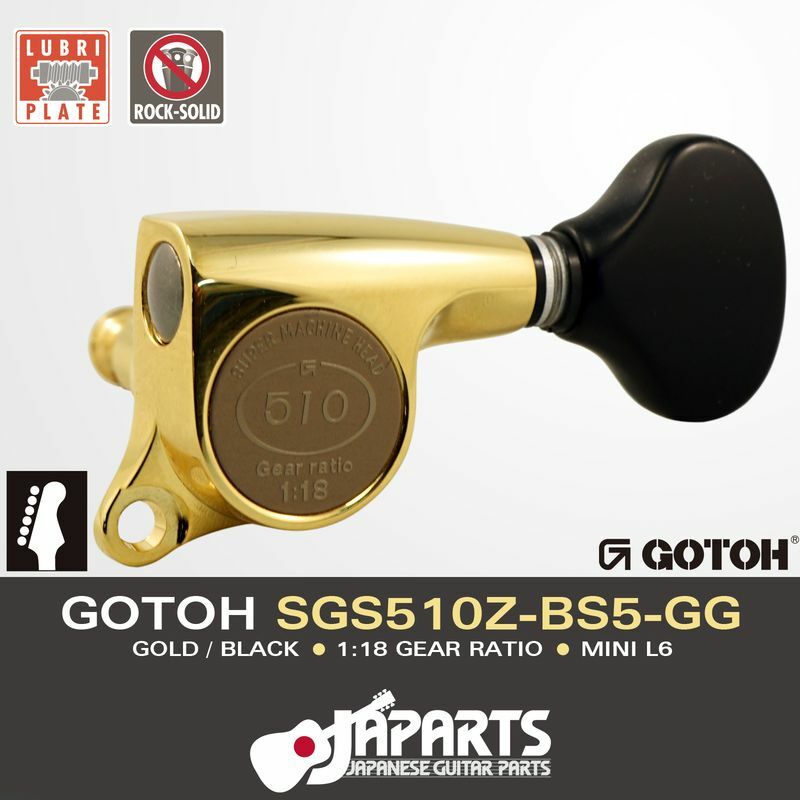 Gotoh's updated FB30 uses a new bearing structure that maintains concentricity and increases durability. 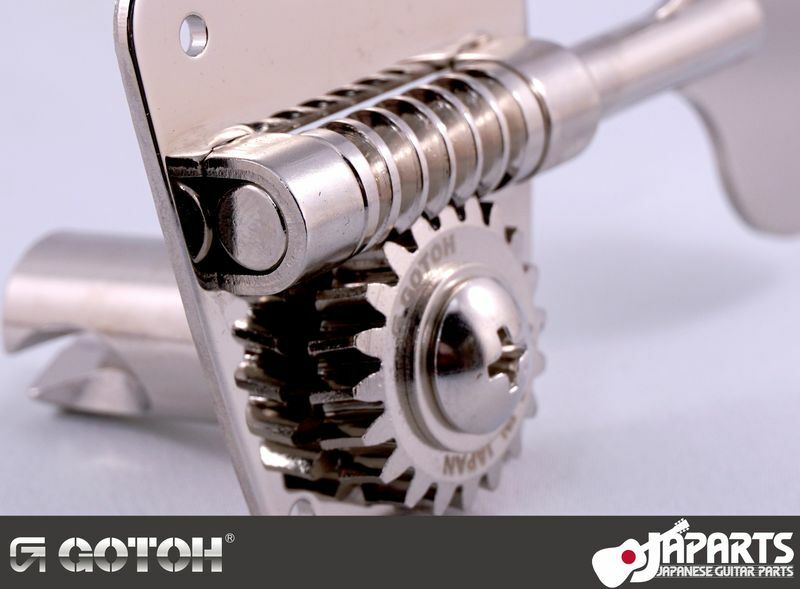 Gotoh have added a resin ring where the worm gear meets the bearing to further reduce friction. Many bass tuning machines are chrome rather than nickel. 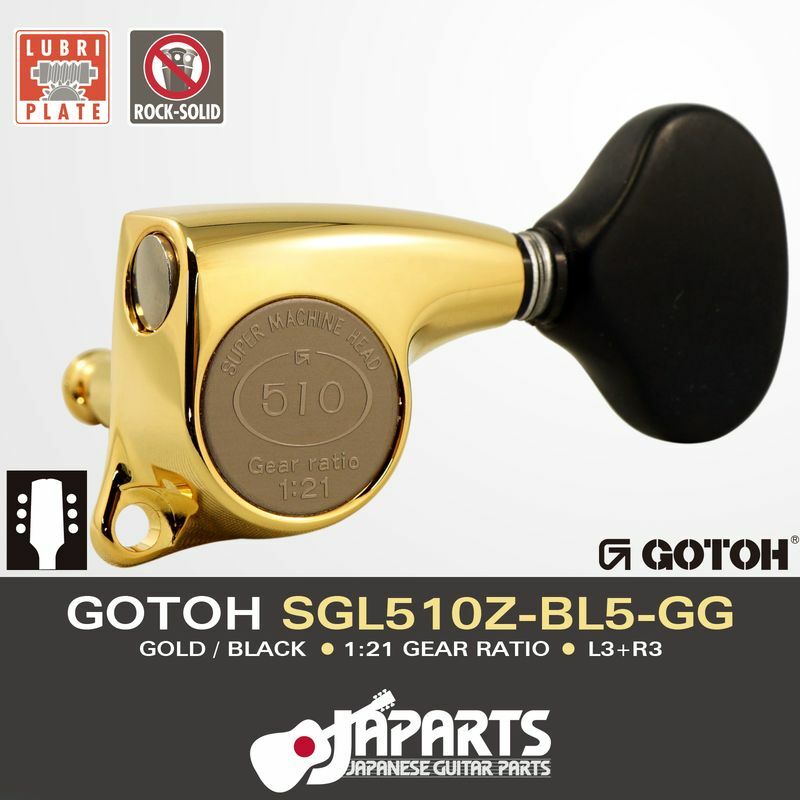 Gotoh's FB30-LP is available in a fine nickel finish for that classic look. 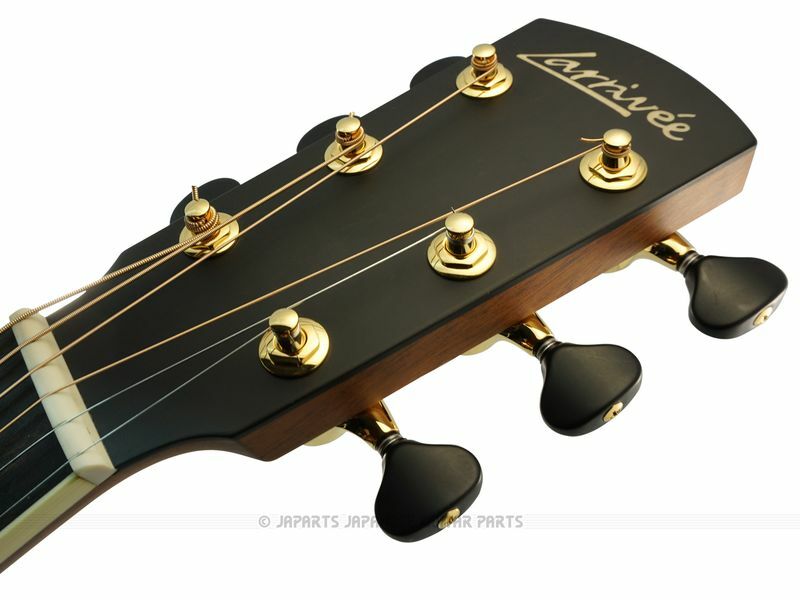 There have been golden eras for acoustic guitars and electric guitars. At those times the tuning machines generally had great tonal qualities but less than stellar functionality. 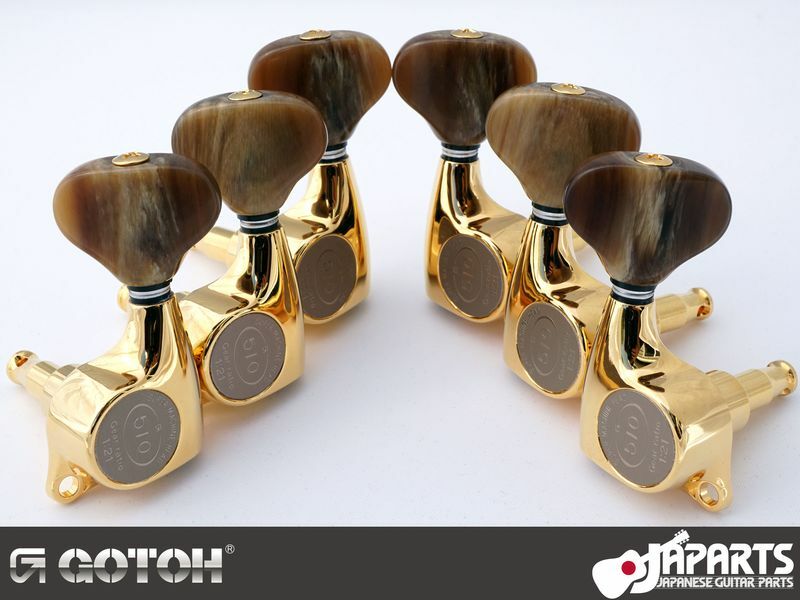 Gotoh are known for the exceptional quality of their 510 series tuning machines, so we asked them create a special series of tuners with brass string posts to put some of that vintage essence back in with the smooth action of the modern machine. It's a new golden age. Now you can have the vintage tonal quality of brass string posts without having to sacrifice functional quality! These prices are for packaged sets of six machine heads with wood screws, bushings, and beveled washers included. Prices are in USD and do not include shipping. We're very pleased to be able to present a brand new style of acrylic buttons, the HL5. 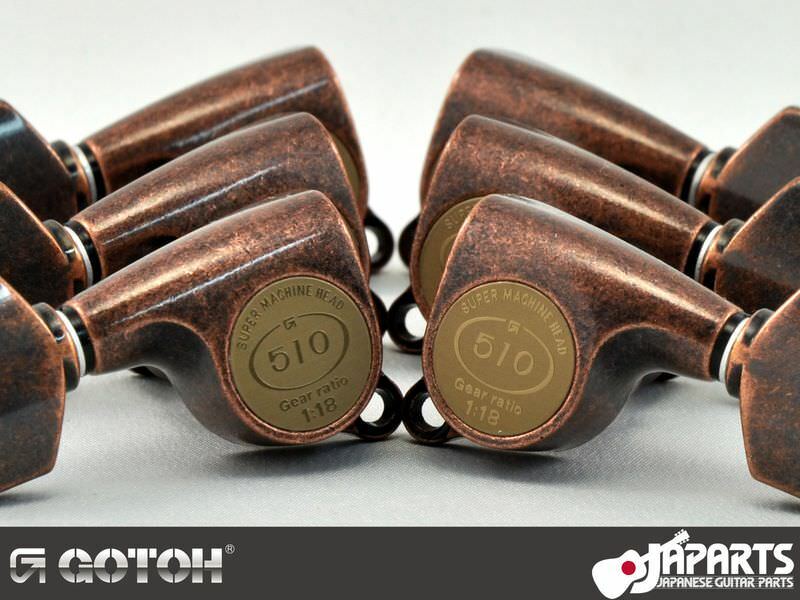 The shape is the same Gotoh signature Contour shape as the L5 and BL5 buttons. The appearance is most similar to cow horn and so we will refer to it as "Faux Horn". These buttons can be ordered on any SG510 set. Listed below are some popular choices. 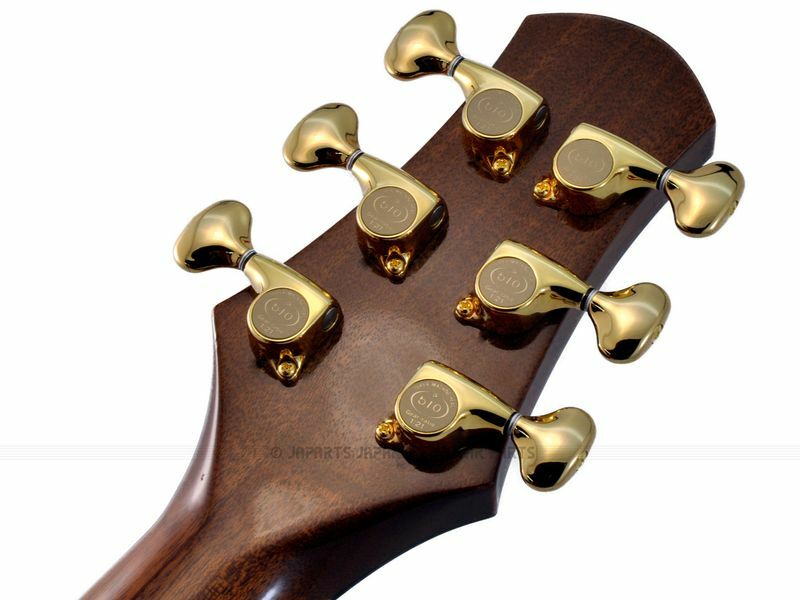 In April 2015 Gotoh introduced the new SG510 Series "Luxury" models with beautiful engraved aluminum buttons and brass caps. 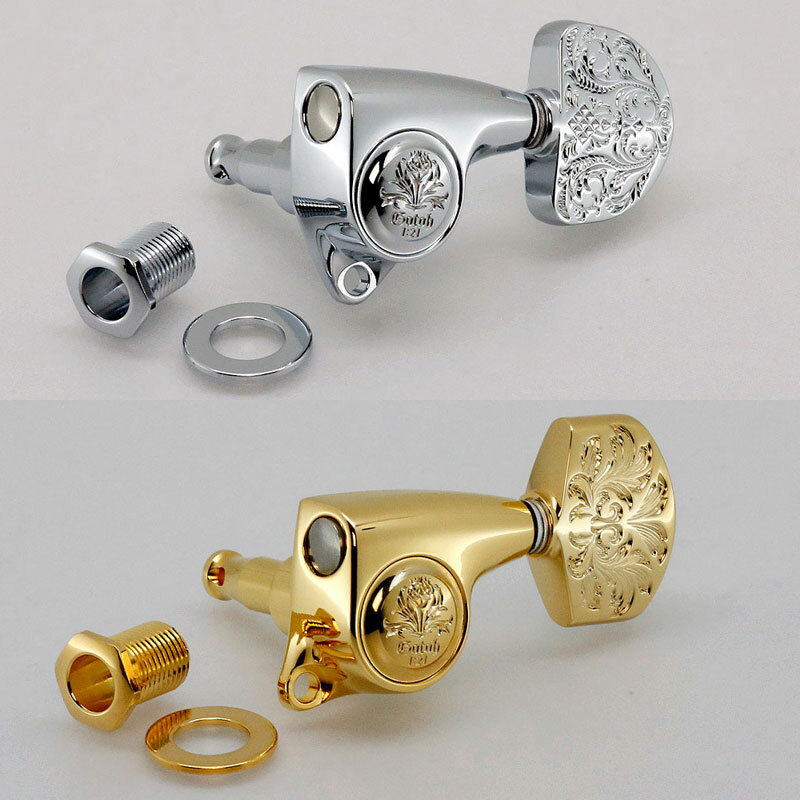 The pricing for these is quite simple: $110.00 per set for chrome and $125.00 per set for gold. Prices are in USD and do not include shipping. It is possible to implement your own original designs. There is a minimum order size of 30 sets for original designs. Options include designs for the button, the cap, or both. Prices will vary depending on the design. 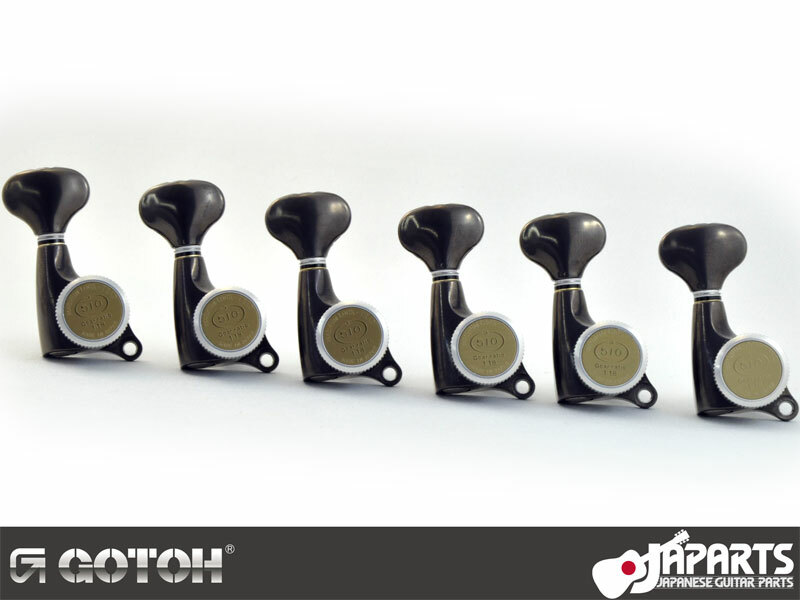 Our 4th and final exclusive finish for Gotoh products has arrived! Similar to Aged Gold in its mottled relic appearance, Aged Copper has a rich, reddish-brown color that blends nicely with wood tones. Limited styles and quantities available. It's here! The 3rd in our series of exclusives: nickel! 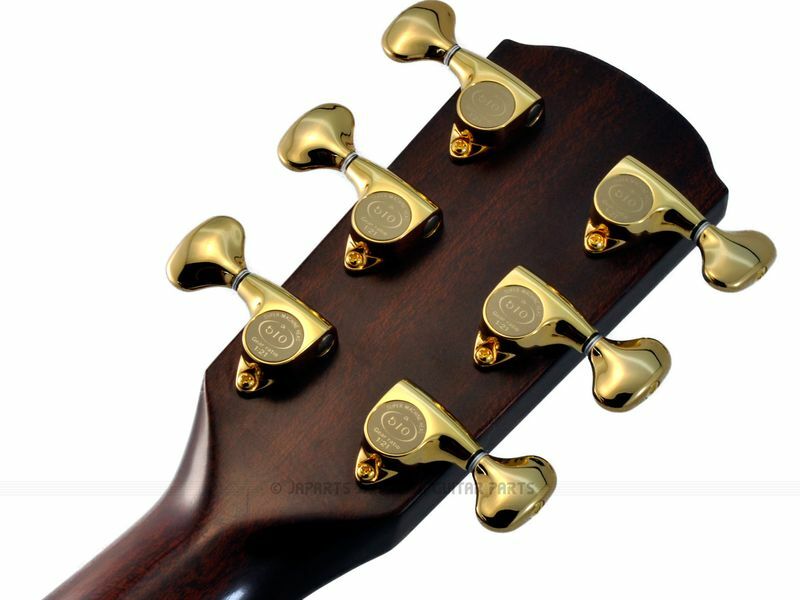 For a long time, nickel has only been available for Gotoh's open-gear and closed-back tuners but not for any of their sealed-gear models. Vintage guitar enthusiasts have told us that they prefer nickel to chrome for their guitars. We listened. It's here. 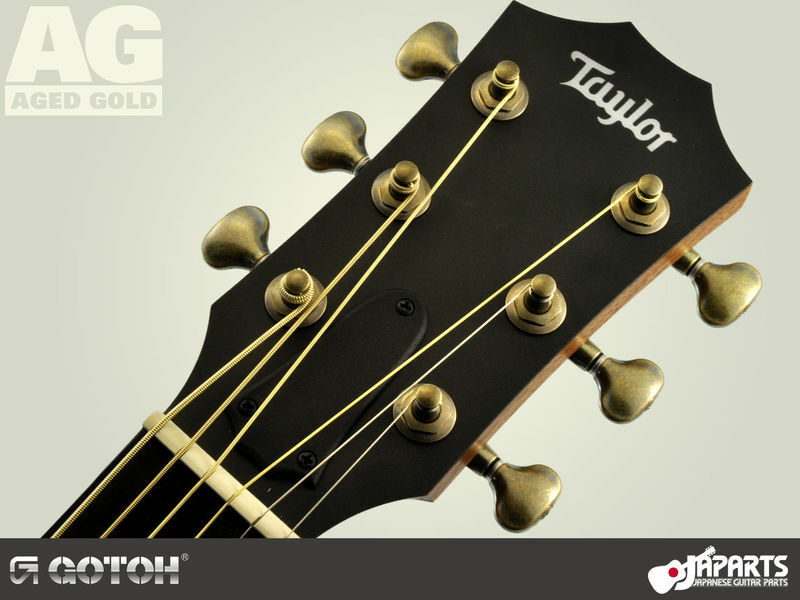 First we introduced our exclusive Aged Gold finish. Now we're very proud to bring you Satin Cosmo Black. Dusky, silky, and smooth for a look that's sleek and unique! We're expanding our list of fine Japanese luthiers' tools and the latest is a Nitto brand saw file for slotting nuts by Ishikoma. It's the perfect tool for making that important first cut! 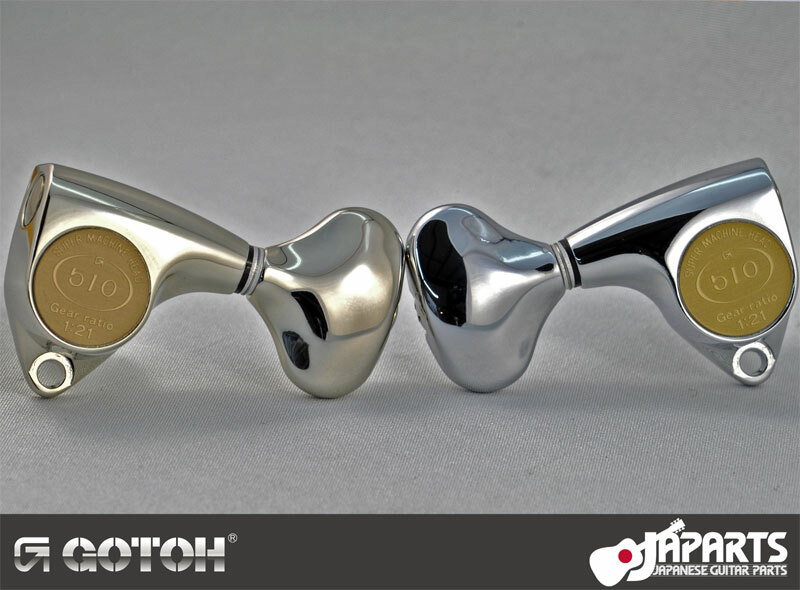 We're very excited about this special finish from GOTOH, not only because it looks amazing but also because it's a Japarts exclusive! We're the only ones who have any of these and our supply is very limited. 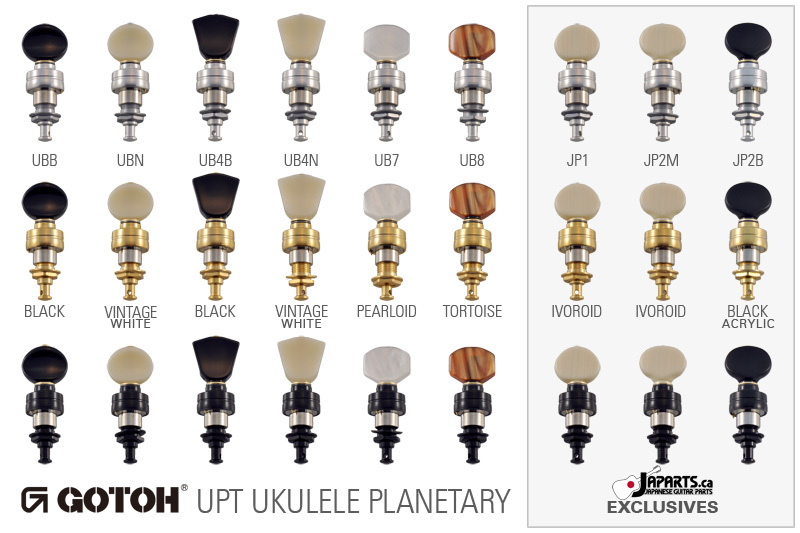 It's finally here: the (r)evolution of ukulele tuning pegs: GOTOH UPT Ukulele Planetary Tuners. For how many years have ukulele players suffered awkward, imprecise tuning? No longer! 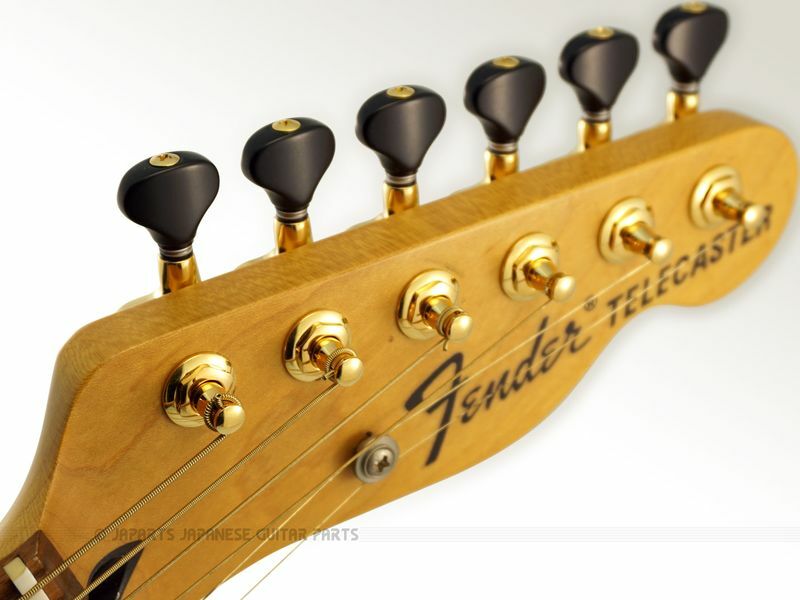 These tuners are as smooth as butter and they never slip! They're lightweight (approx 15-17 grams each) and look amazing! 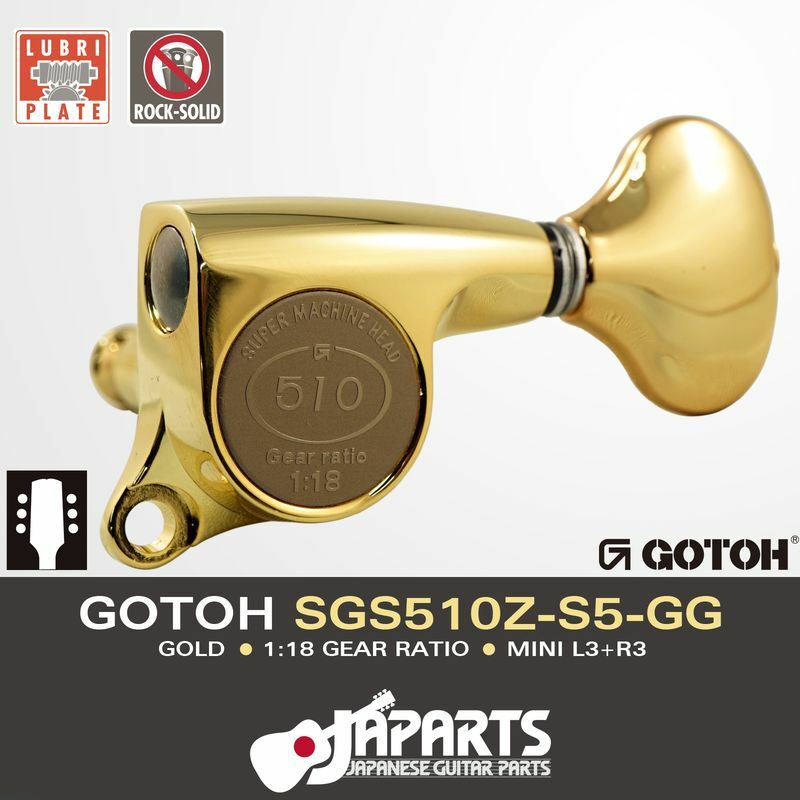 GOTOH's 510 series goes far beyond just the SG sealed-gear tuners. 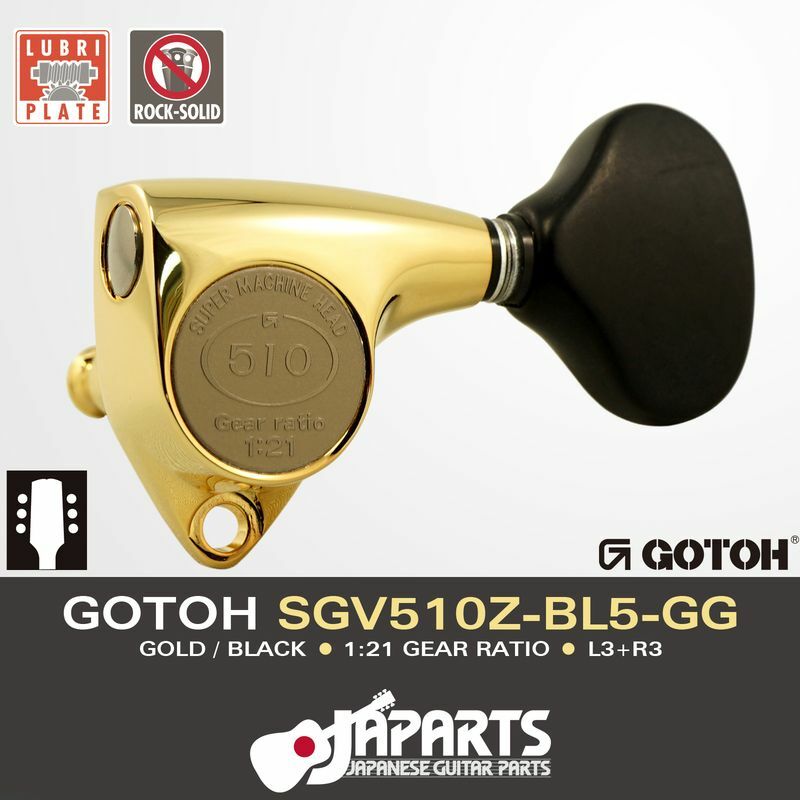 The 510 designation is a sign of GOTOH's highest achievement in all its categories. 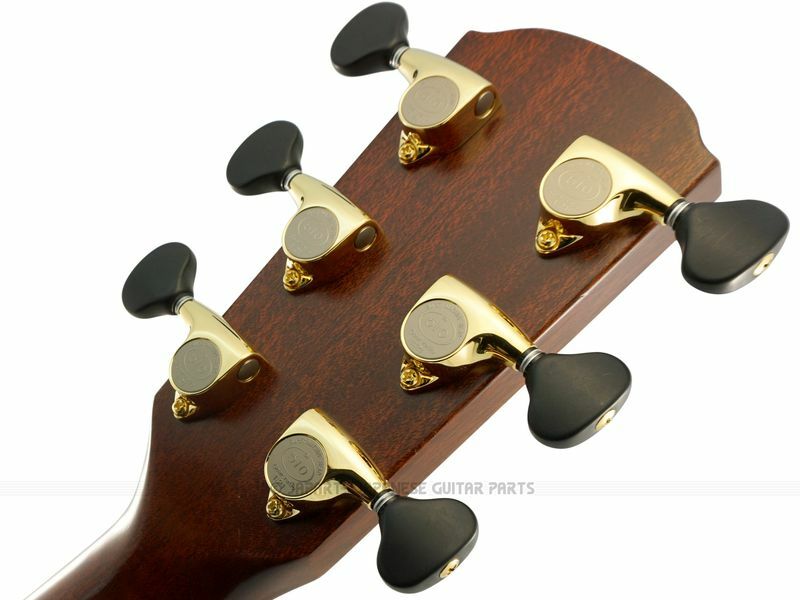 The closed-back vintage-style tuners are very popular for Gibson guitars and similar. The 510 models not only add technical advantages like the smooth and durable Lubri-Plate but also the satin X-Finish, known as "antique". If you have a classic old Gibson that wants a new set of tuners but you don't want them to look too new, you can't do better than a GOTOH SD510 in antique gold with mint green keystone buttons! A classic look for a classic instrument, with all of the advantages of modern technology. 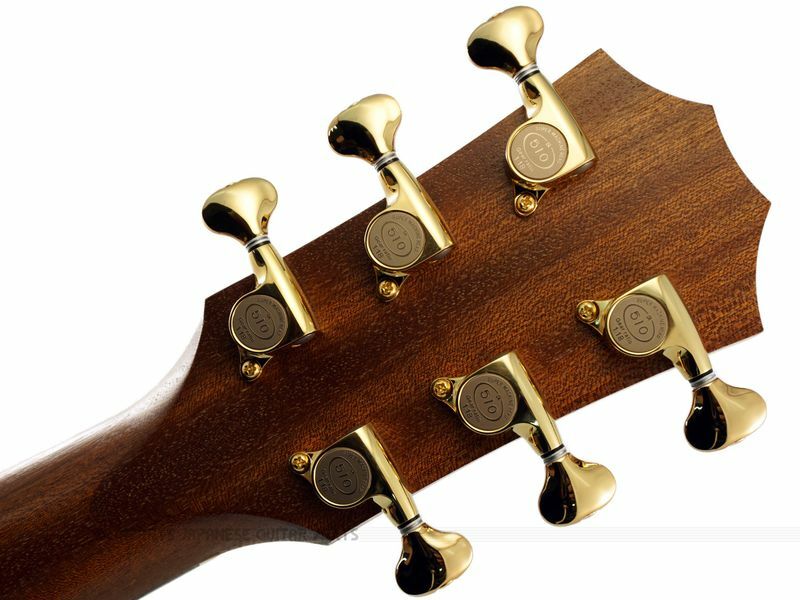 NOTE: The SD510 series are not drop-in compatible with regular vintage-style closed-back tuners that require counter-sunk bore holes. See diagram for dimensions. 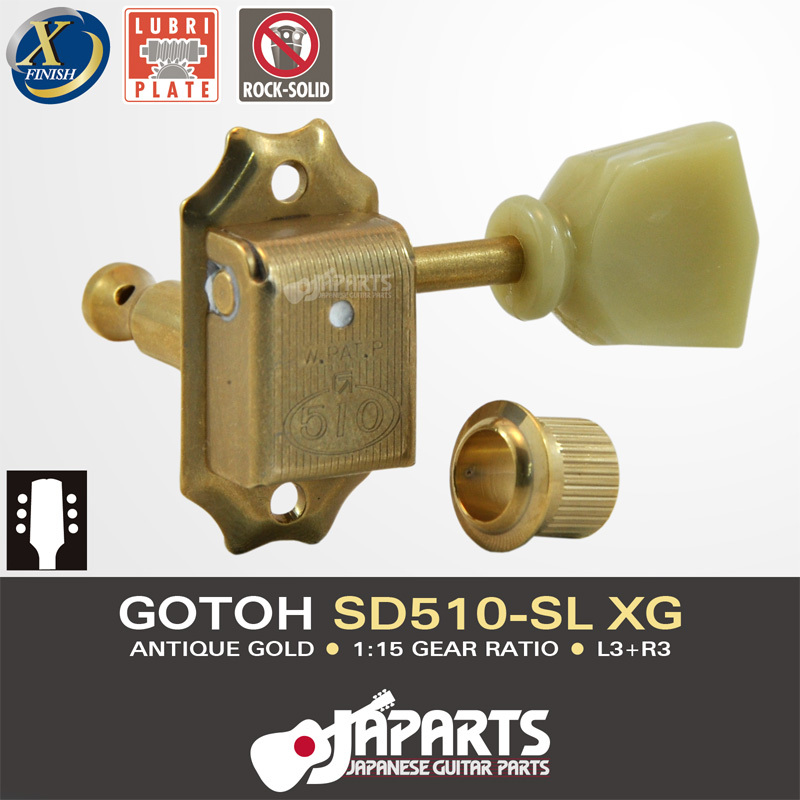 NOTE: The antique gold finish ("XG") is only available for the 510 models.